images-naturally! : 7th Feb for our first frogs spawn for 2018.....latest date for 6 years! 7th Feb for our first frogs spawn for 2018.....latest date for 6 years! 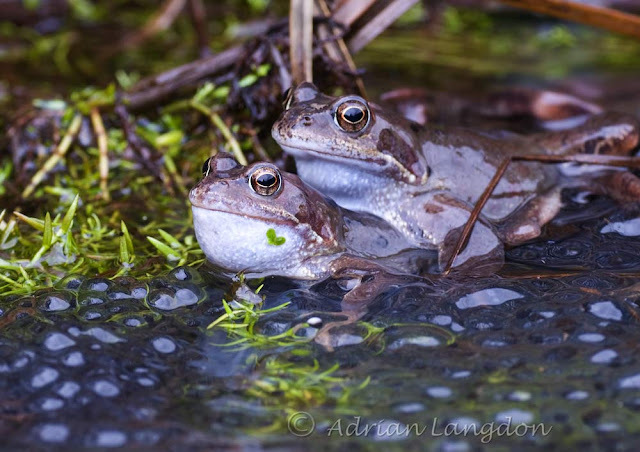 Having checked our garden pond for weeks to see if the resident frogs had spawned I was taken by surprise this morning to find fresh spawn amongst the ice and hail on a day that followed our first snowfall for years.